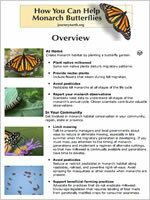 Simple steps you can take to protect monarchs and their habitat. 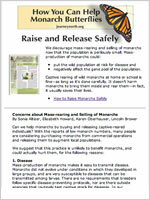 Individuals can have a significant impact on monarch conservation issues. 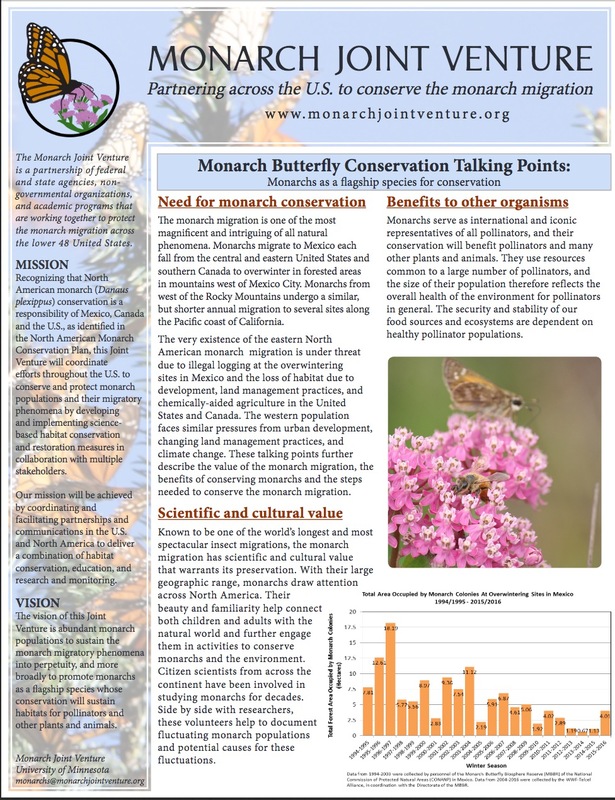 Overview of monarch conservation needs. 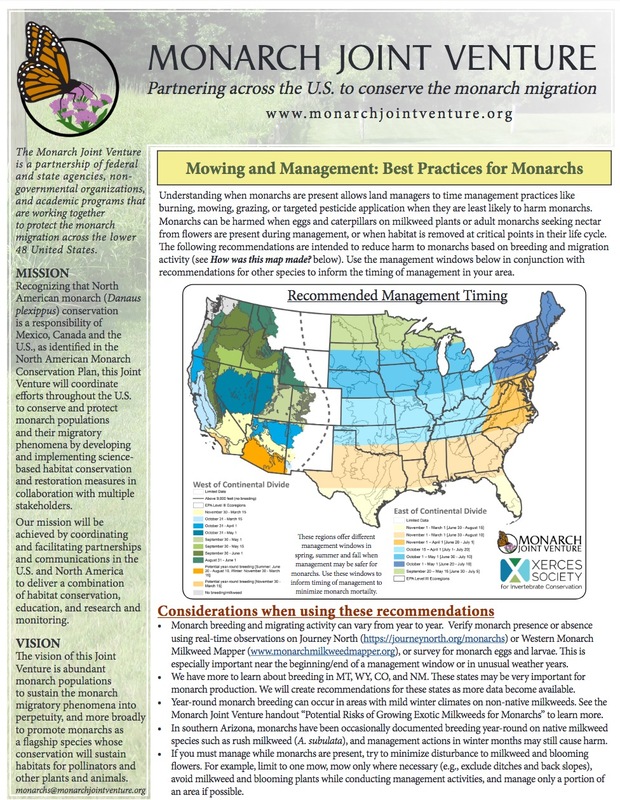 Background information and ways to help monarch conservation efforts. Concerns about mass-rearing and how to safely raise and release. 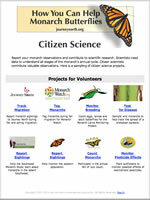 Report your monarch observations and contribute to scientific research. 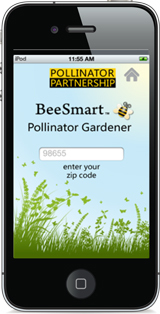 Seed kits, guide and information about registering your site. 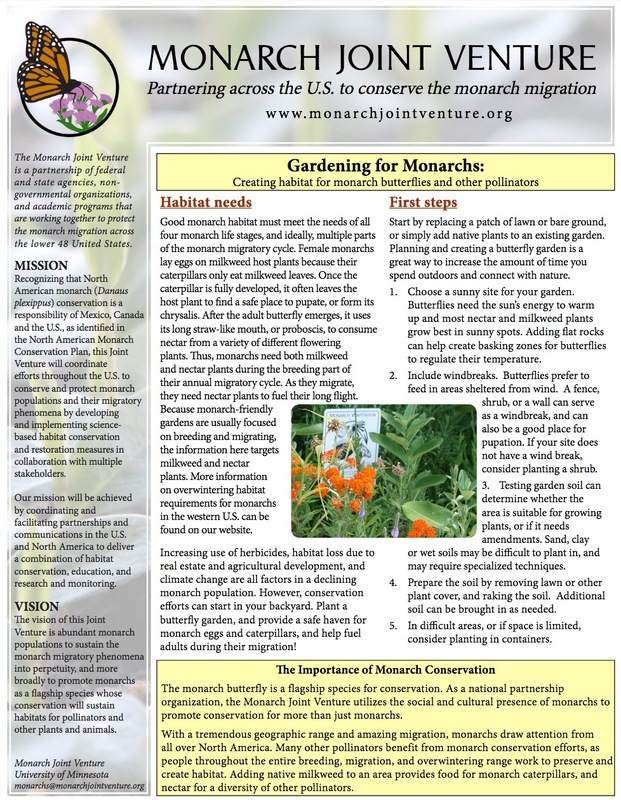 How to attract monarchs and other pollinators. 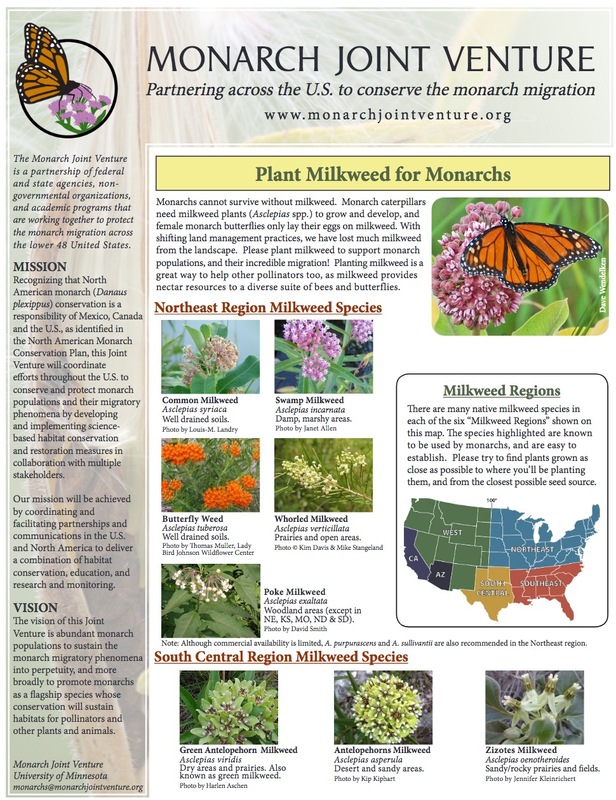 Find milkweed species recommended for monarchs in your region. 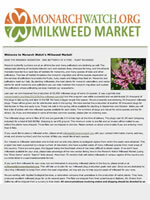 Purchase milkweed species by state. 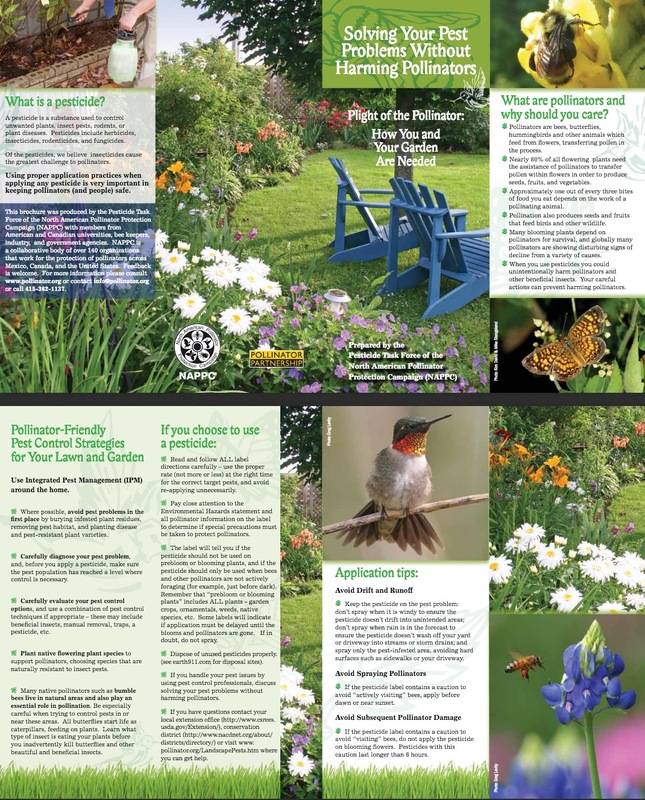 Find your ecoregion and plants recommended for pollinators. 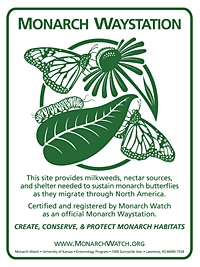 How to grow plants without insecticides that kill monarchs and other pollinators. Roadsides cover more than 10 million acres in the U.S. and can be managed for monarchs and other pollinators. 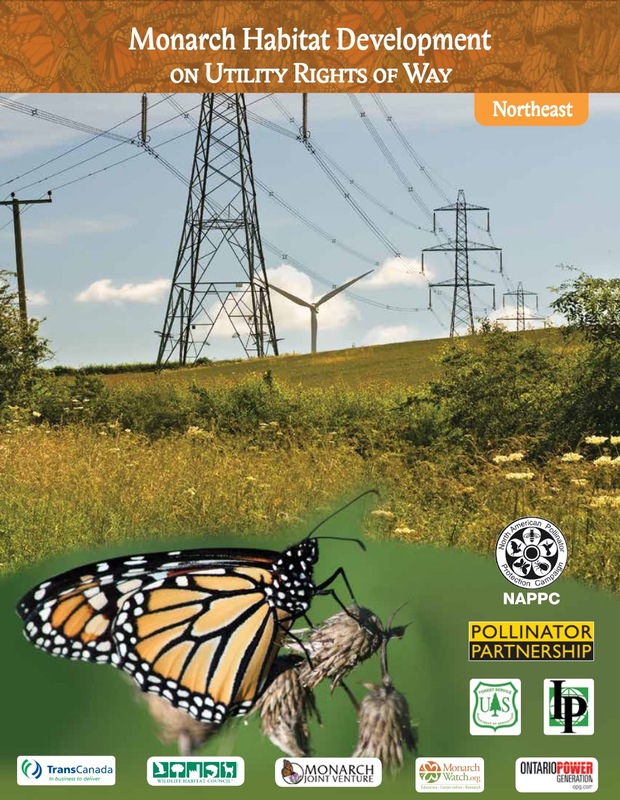 A comprehensive, practical, step-by-step guide for monarch habitat management along utility rights-of-way. Regional guides to the native milkweeds of North America. 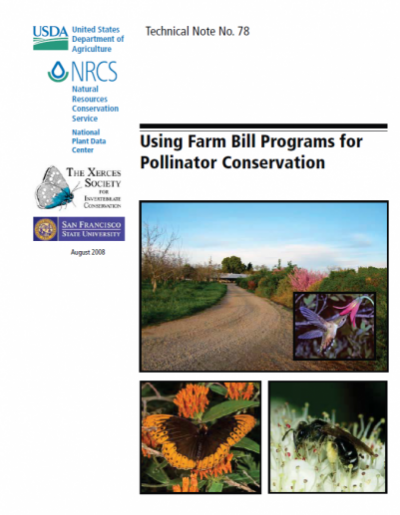 Learn how Federal Farm Programs support farmers and other landowners in pollinator conservation.